Post-Traumatic Stress Disorder (PTSD) and Traumatic Brain Injury (TBI) are serious and often misunderstood afflictions. Unfortunately, it is all too common among combat veterans. It is only in recent years that PTSD and TBI have received the recognition they deserve from the military and the Department of Veterans Affairs. Due to this late recognition, there is an entire generation of veterans who suffer from PTSD or TBI who have been forgotten, ignored, or even discriminated against (often simply because PTSD and TBI weren’t as well understood as it is today). Many of our veterans from current and previous generations who suffered or are suffering from post-traumatic stress disorder were unceremoniously kicked out of the military or denied veterans benefits, simply because they had a disorder that wasn’t well understood. Now, the military and the Department of Veterans Affairs are stepping up to right wrongs that have been decades in the making. Update to previous rulings: On September 3, 2014, the Department of Veterans Affairs and military correction boards have been instructed by then Secretary of Defense Chuck Hagel to grant liberal consideration to requests for discharge upgrades from veterans who may have been suffering from PTSD or TBI before they were a recognized diagnosis. 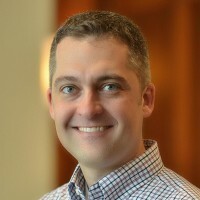 At the time of the memo, rules prohibited certain veterans from applying for discharge upgrades due to the way laws were written. The DoD issued a memo on February 24, 2016 which waives the statute of limitations and grants veterans the ability to reapply under the new policy. Read the DoD Memo: Consideration of Discharge Upgrade Requests Pursuant to Supplemental Guidance to Military Boards for Correction of Military/Naval Records (BCMRs/BCNR) by Veterans Claiming Post Traumatic Stress Disorder (PTSTD) or Traumatic Brain Injury (TBI) (PDF on Defense.Gov). Veterans can only apply for a discharge review board within 15 years of separating from the military. After 15 years, veterans can only apply through their service’s Board for Correction of Military Records (BCMR). This new policy waives this statute of limitations, opening the doors for military veterans to reapply for a discharge upgrade. This opens the doors to combat veterans from all eras to apply for a discharge upgrade if they believe PTSD or TBI was a contributing factor. This includes the current round of Post-9/11 veterans, and previous generations of veterans, including combat veterans from the first Gulf War, Vietnam Veterans, Korean War Veterans, etc. 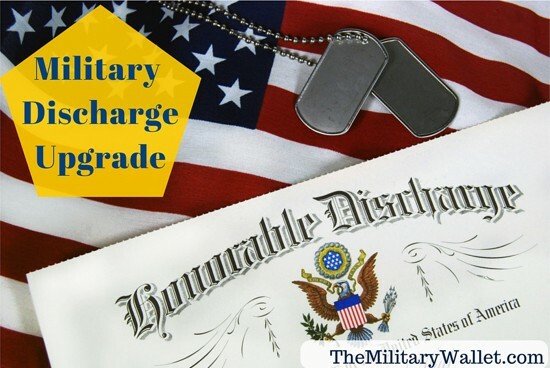 Why Apply for a Military Discharge Upgrade? Several reasons, some of which are incredibly valuable, and some of which are priceless. Let’s start with priceless. Thousands of veterans were drafted into the military against their will and paid a greater price than we can ever repay. And they suffered. Not only from post traumatic stress disorder, but also from being denied the medical care they needed to heal from their wounds. To make things worse, many were unceremoniously discharged from the military with a discharge rating of under other than honorable conditions. This new policy gives these veterans with PTSD, TBI, or related disorders the ability to apply to upgrade their discharge rating and regain something priceless – an Honorable Discharge. What is the Impact of an Upgraded Discharge Rating? Priceless. The first is a restoration of honor. Many servicemembers who suffered from PTSD did not receive any care for their disorder and as a result, were not able to continue their service. This resulted in a less than honorable discharge for many servicemembers. The opportunity to have their honor restored is priceless. But the impact also has a measurable aspect. Many veterans are not eligible for certain military benefits if they have a less than honorable discharge rating. This may include, or may have included, certain benefits such as education benefits including the GI Bill, the VA loan, VA medical care, and other veterans benefits. Additionally, a higher discharge rating may make veterans eligible for state or federal employment or veterans preference points. The value of these benefits is tens of thousands of dollars (or more, depending on eligibility and how much one uses these benefits). Being denied these benefits for decades had results in missed opportunities for many veterans, and it’s good news that these veterans have the opportunity to get their honor and benefits restored. But we need your help in reaching these veterans. If you are a veteran who received a discharge of under other than honorable conditions and believe that PTSD was a contributing factor, then you need to apply for a discharge upgrade. If this doesn’t apply to you, but you know someone who it may apply to, then please send them a link to this article, or forward them to the US Army Review Boards Agency FAQ page. veterans whose characterization of discharge was under other than honorable conditions and who assert that they suffered PTSD or related conditions that they believe mitigated the misconduct that led to the discharge. This memorandum focuses on those veterans who served before PTSD was a recognized diagnosis; however, the guidance will be applied to all veterans. Can I apply for a discharge upgrade even if I was previously denied? Yes. If you are applying under the new guidelines, the Army Review Board will consider this a new case. The board does not have access to the applicant’s health records, so if you have supporting documentation, it would be in your benefit to provide it. This could include VA military medical records, VA medical records, or medical records from a private medical practitioner. Is a discharge upgrade automatic under the new policy? Absolutely not. The military claims there is a liberal policy to upgrade discharge ratings under for veterans who meet the qualifications. But it is still up to the veteran to prove they have/had PTSD or a related condition at the time they were discharged, and that PTSD was a contributing factor. This isn’t to say it’s impossible. Far from it. But you need to have your documentation in order, and have your application filed correctly. As with all discharge upgrade requests, you may be well suited to using the assistance of a veterans service organization or legal representation to help you with the process. DoD Memo dated Feb 24th – Consideration of Discharge Upgrade Requests. To whom it may concern: This is my comment, why the (ABCMR) all times do the same thing, you sent evidence and they ignore it and change the evidence, discriminating by denying entitlement and benefit acquared long ago for orders. To whom is may concern: This is my comment, why the (ABCMR) all times do the same thing, you sent evidence and they ignore it and changed the evidences discriminating by denying entitlement and benefit acquared long ago by orders.